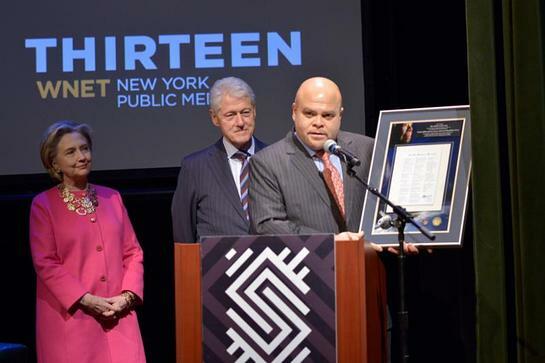 Last week, at a special preview event for the new documentary “American Masters — Maya Angelou: And Still I Rise” at The Schomburg Center for Research in Black Culture (New York, NY), Dr. Maya Angelou's grandson Colin Johnson, Co-Founder and Principal of Caged Bird Legacy, LLC, presented Secretary Hillary Rodham Clinton and President Bill Clinton with a plaque of Dr. Maya Angelou’s inauguration poem, “On The Pulse of Morning,” that flew on the Orion Exploration Flight Test-1 (EFT-1) December 5, 2014. With unprecedented access, filmmakers Bob Hercules and Rita Coburn Whack trace Dr. Angelou’s incredible journey, shedding light on the untold aspects of her life through never-before-seen footage, rare archival photographs and videos and her own words. From her upbringing in the Depression-era South and her early performing career (1957’s Miss Calypso album and Calypso Heat Wave film, Jean Genet’s 1961 play The Blacks) to her work with Malcolm X in Ghana and her many writing successes, including her inaugural poem for President Bill Clinton, American Masters – Maya Angelou: And Still I Rise reveals hidden facets of her life during some of America’s most defining moments. 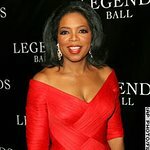 The film also features exclusive interviews with Dr. Angelou, her friends and family, including Clinton, Oprah Winfrey, Common, Alfre Woodard, Cicely Tyson, Quincy Jones, Hillary Clinton, Lou Gossett Jr, John Singleton, Diahann Carroll, Valerie Simpson, Random House editor Bob Loomis and Dr. Angelou’s son, Guy Johnson. Today, American Masters launches a year-long online campaign, #InspiringWomanPBS, based on themes central to Dr. Angelou’s life: artistic expression, academic success, active community engagement and acceptance of difference. People can share stories of inspirational women in their own lives via text, images or videos on the American Masters website or via Tumblr, Twitter and Instagram using the hashtag #InspiringWomanPBS. A video compilation series of the best submissions will be featured on PBS’ Instagram Stories and Snapchat channels throughout the year. Additionally, previously unreleased videos from Maya Angelou: And Still I Rise and In Their Own Words: The American Masters Digital Archive will be released as part of the campaign, as well as new episodes of the American Masters Podcast. WNET Education will work with local PBS stations and local arts organizations across the country to engage diverse audiences in the campaign through a series of free, community-based screening events. They will also create educational resources based on the film for PBS LearningMedia. Funded by the Corporation for Public Broadcasting, #InspiringWomanPBS is the latest example of American Masters and WNET’s commitment to educate and entertain audiences beyond broadcast.